It’s not the best feeling: you hustled for an hour across a full court, only to miss the game-winning shot. Your teammates can’t help but put all the blame on you—and that jackass from the other team is too busy celebrating to even notice you. And to top it all off, you suddenly notice a gaping hole just opened up on the side of your shoe. 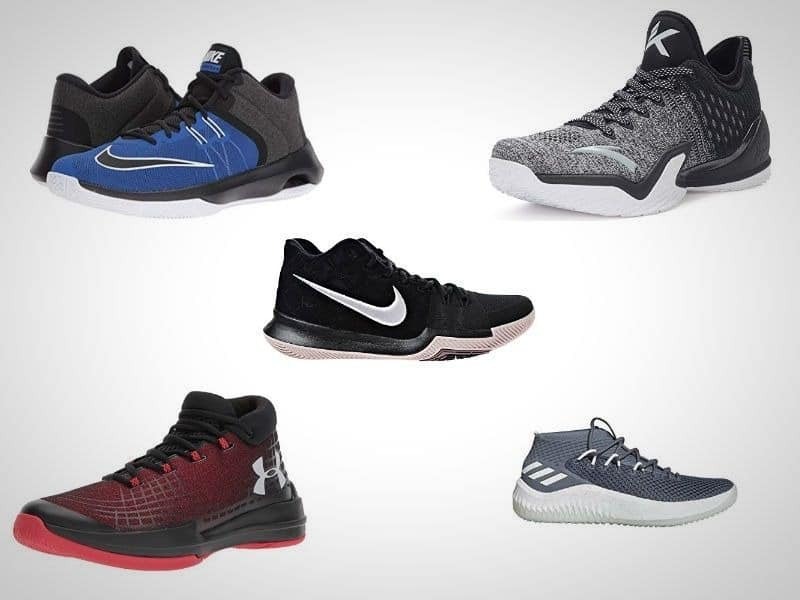 And while there’s definitely more to the game of basketball than just your shoes, there’s nothing better than the feeling of a high-quality pair of basketball sneakers to boost your confidence—and your game. But just because you want a decent pair of shoes, doesn’t mean you have to go broke. You can even stay within a reasonable budget. 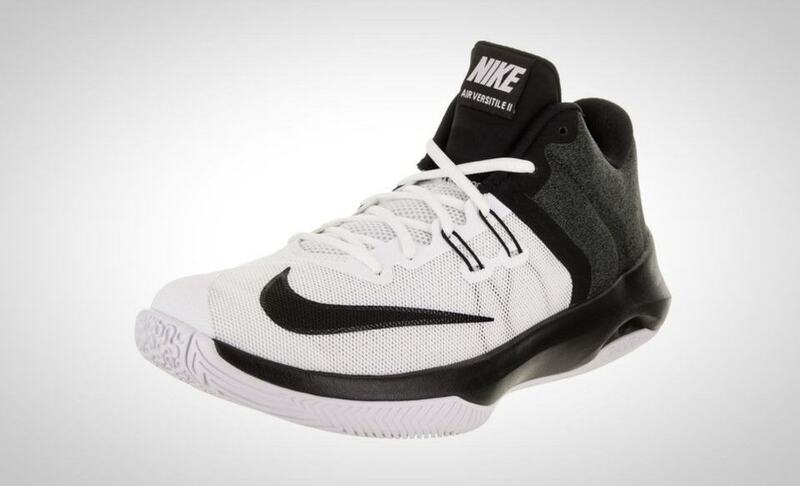 To prove my point, here’s a list of the top 10 basketball shoes under $100. Stay agile and cushioned with Nike’s Air Versitile II for men. This pair packs all the essentials for a great, affordable price. Let’s start with the design. Sleek: that’s what you’re getting as the interlocking black and white patterns form a support system for your feet. Made with textile and synthetic materials, the focus was placed on ensuring you are padded and protected on the court. An Air-Sole beneath the heel will help provide comfort and security when coming down from a big jump shot. Additionally, the unit is visible near the rear of the shoe, adding a great design element. You’ll also get added security with the fly wire cables installed across the sides, providing much-needed lockdown. The heel package is incredibly plush, essentially “hugging” your foot for added comfort. This is the pair of sneakers you show off to your friends (and enemies) on the court—and fool them into thinking you spent a fortune. 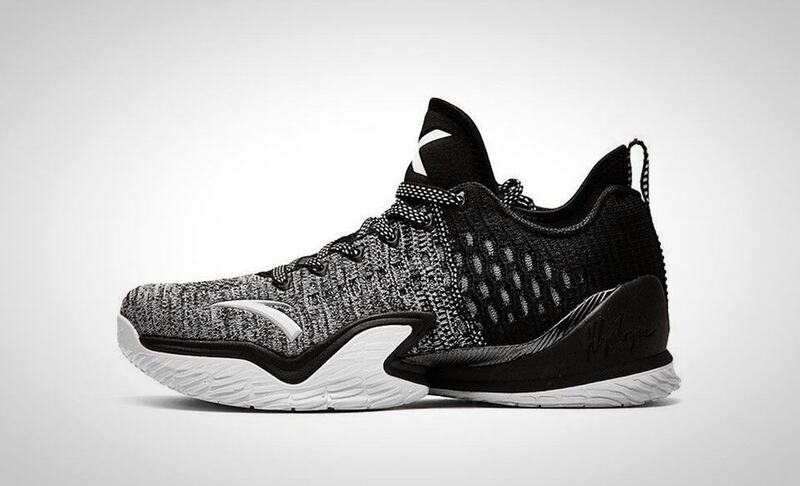 The NXT TB for men by Under Armour is something to marvel at. Aesthetically, it has that edgy, gritty design that’s an instant eye-catcher. A series of gridded, hash-patterns appear across the backend and blend softly into the side. Made of textile and synthetic materials, the upper’s mesh is coated with TPU yarn, all embroidered to offer maximum structuring. The medial quarter panel is made of a modeled, articulated material that will ensure additional support for when it matters the most. This pair by ANTA is another visual stunner that betrays its price. 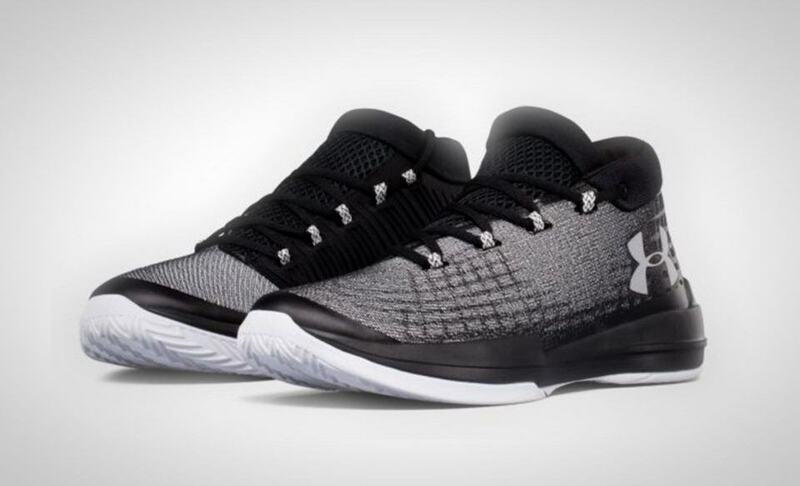 The Klay Thompson KT3 Playoffs Low for men provides a combination of incredible looks with technical design precision. Let’s start at the top: the upper is comprised of a mesh material that will offer incredible levels of breathability. In fact, nearly the entire upper and sides are made up of the mesh, ensuring a feeling of freedom. This, however, doesn’t detract from the stability and traction beneath your feet. The outsole is made of EVA, rubber, and TPU to maximize that feeling of security you need to feel confident on the court. The name says it all: the Air Precision for men by Nike is an incredibly affordable pair without skimping on the quality. Do not let stable sneakers wear you down on the court. The Air Precision creates a system that is lightweight yet supportive. You’ll also get that locked-in feel without the weight of other models. The upper is comprised of a light mesh for maximum ventilation. A skin overlay helps keep your mid-foot securely in place. Foam pads located in precise spots will give you that walking-on-air feeling—you know, the one that makes you feel capable of jumping higher than Jordan. In addition, you’re getting a half-length bootie that meets the perfect balance point between high and low. Kyrie is known for a lot of crazy things: crazy handle, finishes, and crazy beliefs—like thinking the earth is flat! But sometimes, crazy is just too cutting-edge for us to understand, and this is certainly the case with how he handles the rock. And so the Nike Men’s Kyrie 3 was created with this philosophy in mind, accommodating quick feet and a lightning-fast roar towards the hoop. The sneakers’ zonal support system provides all the stability you need while keeping you lightweight. 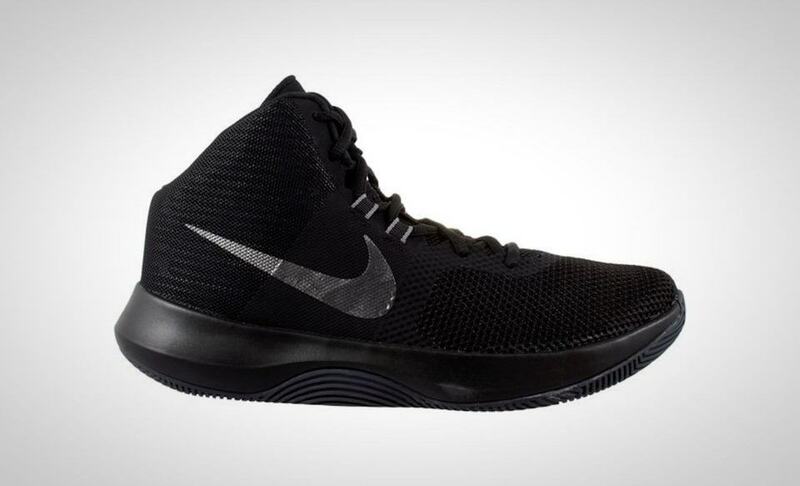 With the inclusion of hyperfuse construction, you’ll feel securely in place without compromising on breathability. 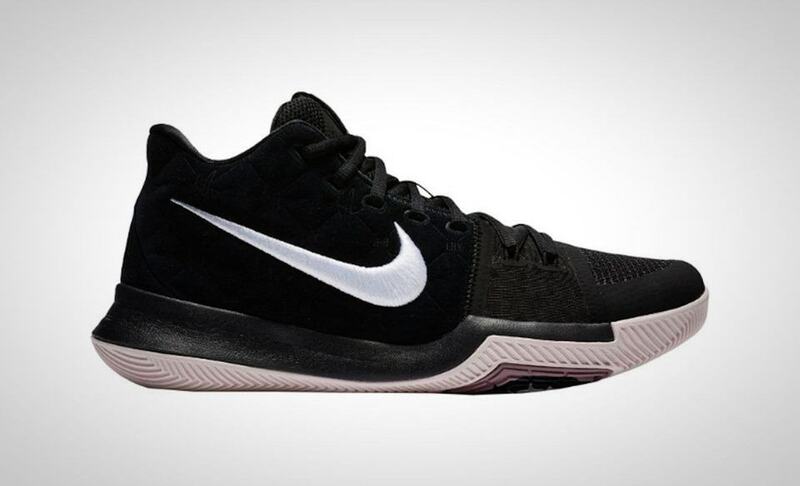 Furthermore, the mid-sole is comprised of foam that can offer much-needed protection without all the bulk or weight. The Dame 4 by Adidas has remained a classic in the industry and the fourth iteration is no exception. First, the design has been updated to be more modern and trim. The textile upper provides an eye-catching support system that’s also breathable. 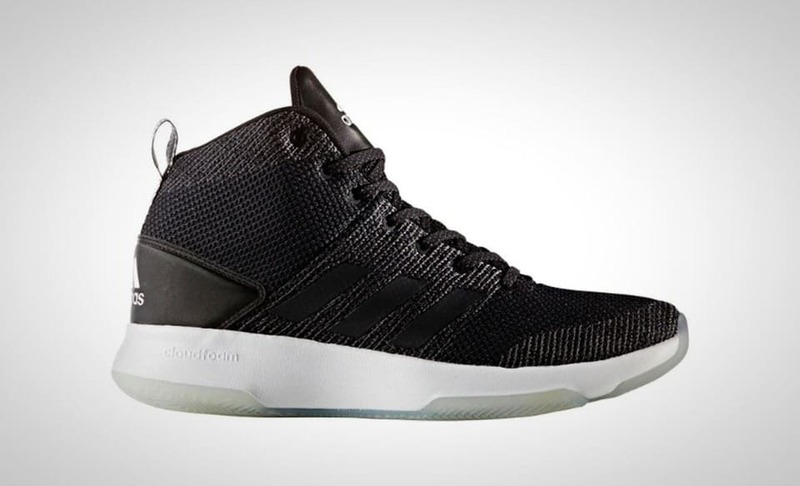 The midsole incorporates the trademarked “boost” cushioning so that quick movements are both supported and enabled. Additional security is ensured through a lacing system that keeps the entire package locked down. Between the neoprene collar, snug bootee design, and tread pattern across the outsole, you’ll find yourself capable of almost any movement without fear of consequence. He’s the man known for landing last-second game winning shots and jumping as high as the sky. So naturally, if it’s a pair of sneakers inspired by him, or even designed for him, then you know it must be legendary. The legend of Michael Jordan is reflected with great accuracy in the Fly Unlimited by Nike. Don’t be limited by heavy, bulky shoes that claim to provide excellent stability while bogging you down. 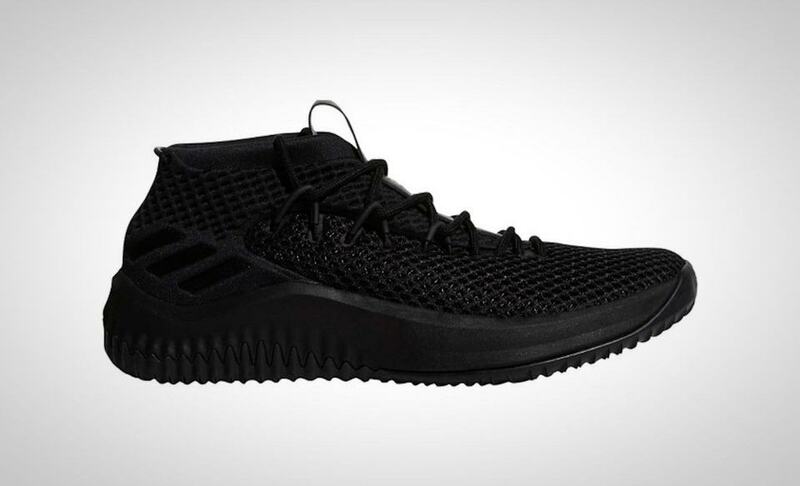 Instead, the Fly Unlimited utilizes a very lightweight upper kept grounded by a full-bootie. The inclusion of a wraparound strap helps keep things secure without over-cluttering. Keep it all together with the incredible Flight Web lacing system that puts it all into place no matter the tension on the court. It’s exactly how you want your opponents to feel after a brutal game of hoops—infuriated. The Nike Men’s Air Max Infuriate will boost your performance and leave others in the dust. Stay light and lean without compromising on stability. This pair utilizes a breathable mesh upper with a Full Max Air 180 cushion beneath the heel for extreme support. Keep rigid with flywire cables that create a nurturing cage for the entire foot. Extending the full length across the midsole is Phylon foam for extended stability when it matters the most. Indeed, you might find the competition utterly infuriated thanks to this extra edge. Play hard, play great, and don’t compromise on the style. 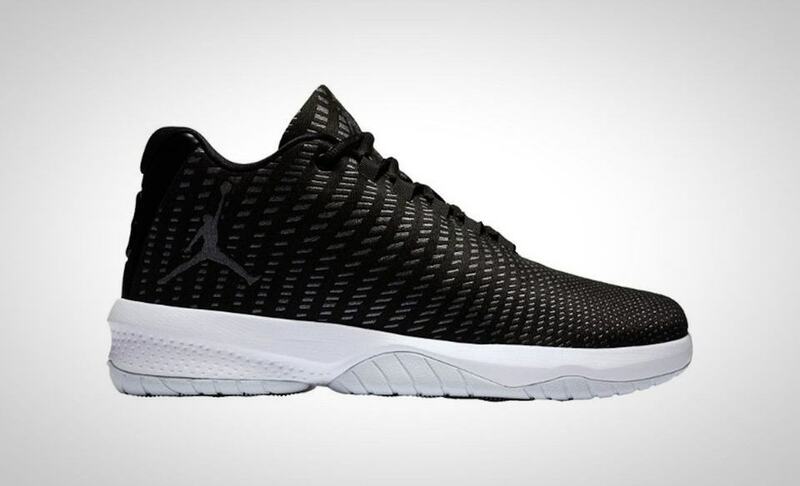 Be fly with the Jordan B.Fly for men. Nike has served up something quite special here, managing to create excellent design with an undeniable fashion statement—and all for a great price. Stand back in awe as the interlacing design pattern across the upper and midsole encompasses the majority of the sneaker. The trademark Nike Jordan logo is emblazoned across the side. 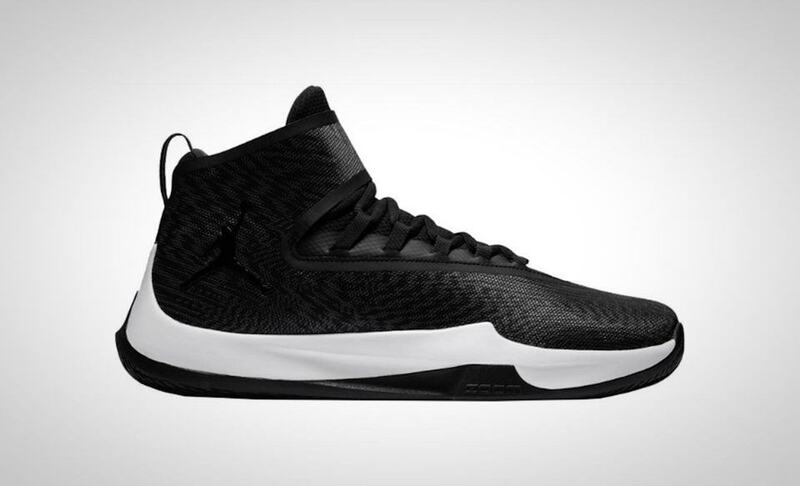 But let’s talk specs: this is the lightest Jordan model of them all and caters specifically for those who want maximum weightlessness on the court. Remember that intricate pattern? Well, it’s not just a fashion statement: it also provides a tough, woven system to keep your foot securely contained while remaining flexible. Additionally, you’ll get incredible layers of support down below thanks to a Nike Zoom Air unit placed conveniently beneath the forefoot. It might sound like a contradiction, but this pair of sneakers by Adidas lives up to the name. 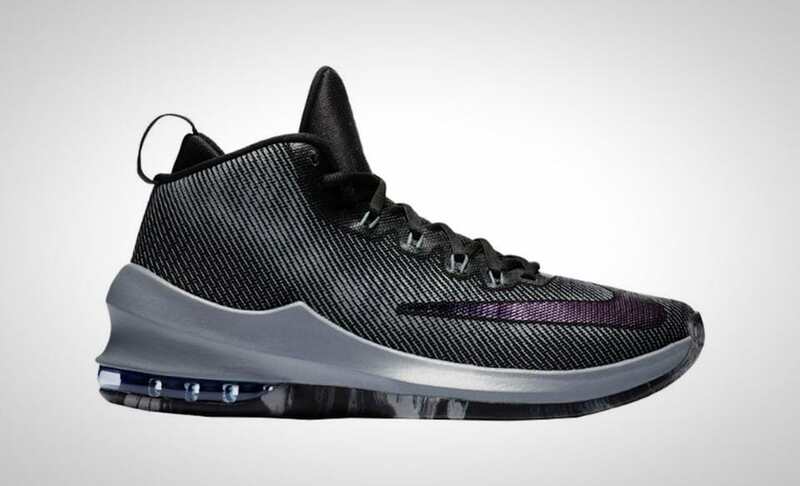 The Cloudfoam Executor will keep you feeling light as air yet lethal as an executor on the court. This pair provides excellent comfort and support. Aesthetically, you’ll enjoy the 3-Stripes style that’s screen-printed for a truly polished looked. With an upper comprised of a two-tone mesh, breathability is maximized without compromising on the stability. But the name mentions “Cloudfoam”, and that’s a key feature embedded into the midsole that will make landings feel like falling on a bed of clouds. In addition, Cloudfoam is placed in the sockliner, providing even more of that soft, supporting structure.